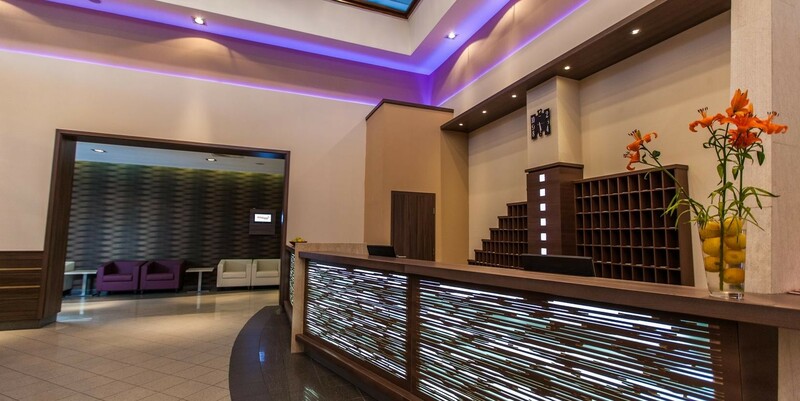 The newly renovated Premium Hotel Panorama **** is situated in Siofok on the Gold Coast (Aranypart) within walking distance of the city center, right on the shore of Lake Balaton. The quiet waterfront environment provides a perfect relaxation as well as more opportunity for those who want active relaxation, also. The hotel is open all year round with 149 rooms, including standard, connecting and family rooms. Most rooms have a balcony, each room has a flat-screen TV, telephone, Wi-Fi internet access, a safe, minibar and air conditioning. For the active holiday-makers the Hotel is perfect with its wide range of sport-services: swimming pool, sauna, infrasauna, steam-bath, aroma cabin, buzz shower, whirlpool, fitness room and a seasonal outside pool and children pool, too. It is also possible to rent a bike in the Hotel. For those, who would like to be not only healthier but a bit younger, we can offer the treatments of our beauty salon, our hairdresser's, the pedicure studio, the massage corner and the solarium. Our further services can make your Holiday more comfortable: closed parking lots, safe, playground in the garden and children's playing room in the house. The Hotel satisfies all the demands of conferences, seminars, trainings, meetings and other events, as well. The conference rooms are equipped with all the modern required techniques and they are well air-conditioned and has natural lights. The conference rooms for 300 person and for a 100 person, as well as the four meeting rooms for 40 person serve as a venue for different events. click the "book online" button (top of this site).